Regardless of the region, the music was originally made of basic forms and harmonies, usually from string instruments. With older county music, ballads and dance tunes made up the bulk of the genre, along with a strong presence of gospel music. Since the country music genre has been around for so long, it’s easiest to think of it in terms of generations, beginning with the earliest recordings in the 1920s. Every decade since then is a new generation, binging new sounds, artists and hits to listeners. Who were the original listeners, you might ask? They are the people of the working class – those who used their hands to build things. It was music about their lives with themes that appealed to them and meaning for them. Songs about love, life, loss, and hope began it all. These themes are still popular today. For instance, Roy Acuff had a hit with “You're the Only Star in My Blue Heaven” in 1937. The song is about a man who is mourning the loss of his true love. In 1980, George Jones released “He Stopped Loving Her Today” – a song about a man who also lost his one and only love. Need a more contemporary reference? How about Joe Nichols’ ‘I’ll Wait for You’? In this song, a man is telling his sweetheart that should he die first, he’ll wait for her at the gate of heaven. Country music connects to emotions and often create a gut reaction in listeners. In 2001, when terror struck America, it was country songs that were played to help a grieving nation. Lee Greenwood’s ‘God Bless the USA’ became popular again. Originally released in 1984, it is now considered one of the most patriotic songs of modern generations. It’s not all serious though. Having a good time, enjoying life and falling in love are also popular themes throughout country music. Hank Williams is renowned for ‘Hey Good Lookin’’ and ‘Honky Tonkin’’, both fun songs that made people smile, relax and just have a good time. Johnny Cash made listeners smile with ‘A Boy Named Sue’ and ‘One Piece at a Time’. These songs have led to a new trend in country music – the bro-country sound. Bro-country is made up of songs from male artists singing about girls, trucks and partying. Excellent examples of bro-country include ‘Boys ‘Round Here’ by Blake Shelton, Luke Bryan’s ‘Crash My Party’ and ‘Cruise’ by Florida Georgia Line. In fact, in 2014, ‘Cruise’ became the best-selling digital country music song of all time. This sub-genre isn’t without its critics, though – mostly because it is dedicated to young men by appealing to the desire for recklessness and freedom. To keep bro-country in check, the female duo Maddie and Tae released ‘Girl in a Country Song’, much to the delight of fans everywhere. Other artists have also put out singles poking fun at bro-country, letting listeners know that while the music is fun to listen to, it’s not a guide to daily life – or something that the artists take too seriously. 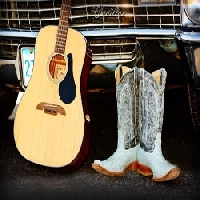 In a nutshell, country music is about life – the good, the bad and everything in between. It’s patriotic, humorous, sad, and serious. Song writers get their inspiration from challenges everyday people face and fight through. Although the sound of the music itself might change from decade to decade, the music is here to stay.